GB: Take us through the game's development history from the beginning, if you will. If things would have worked out better between BioWare and Interplay years ago, would you have been interested in developing a direct Baldur's Gate sequel? Or did you decide after Throne of Bhaal that you'd rather pursue your own IP, which then led to the development of Dragon Age? 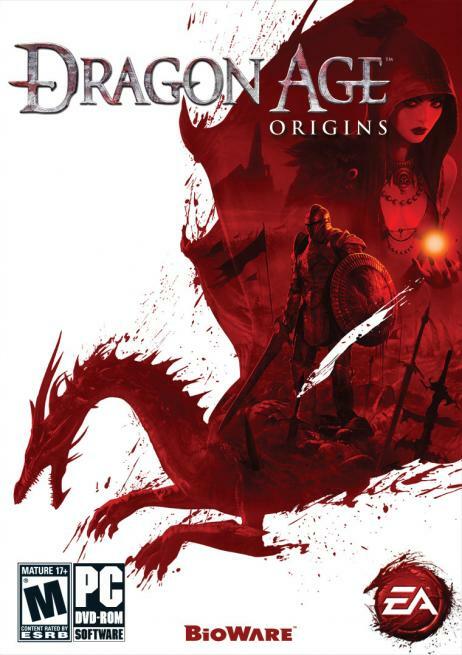 Dan: For BioWare, Dragon Age: Origins represents a return to our own origins, in this case the fantasy genre which is really what put us on the map with games like Baldur's Gate and Neverwinter Nights. We wanted to take the best elements from classic fantasy RPGs but make a dark heroic fantasy RPG that delivered a gripping story, exciting combat, and emotionally compelling moments all rolled into one spectacular next-gen experience. Dragon Age is our own IP so we have a lot of creative freedom which we're taking full advantage of you're about to see a lot of things that you won't find anywhere else. GB: Baldur's Gate is regarded as one of the best cRPG franchises in existence. What exactly should we expect from its spiritual successor? What aspects of the game will make Baldur's Gate fans feel right at home? Dan: Baldur's Gate was based on a very deep and engaging story with fascinating characters, so fans can expect to be thrilled by a bigger and better adventure in Dragon Age: Origins. Party-based adventuring was key in Baldur's Gate, and it's the same with Dragon Age: Origins where you'll engage in some heart-pounding tactical combat with each member of your party having unique personalities and abilities that are just fun to experiment with. What fans will see is that Dragon Age: Origins is a (coming of age) for fantasy RPGs it's a more mature and sophisticated take on classic RPGs, with very dark elements that may even shock some people. GB: You originally announced Dragon Age in 2004 but then waited until it was only several months from release before showing it to the public. Why the four-year silence? Have any of your goals changed during that time? Dan: This is a completely new intellectual property so we had to design an entire world and its history from the ground up, and that takes a lot of time, especially if you care as much about quality as BioWare does. We also had to spend time constructing the tools and technology needed to fully realize the scope of the game which, by the way, is enormous. One of the goals all along was to create a world within which you could base an unlimited number of stories, and Dragon Age: Origins is just the beginning. It's a huge undertaking, but that's what it takes to deliver the level of quality our fans deserve. It'll be worth the wait. GB: Tell us more about the "Origins" aspect of Dragon Age. What sort of "individualized experiences" will players participate in at the beginning of the game and what effect will they have on the rest of the game? Dan: The Origin Stories are one of the defining features of the game. Your choice of Origin Story not only determines how and where your adventure begins, but defines how the world sees you and how you see the world. Characters will react differently to you, depending on your choice of origin, and you may have different dialogue options, plot twists or story branches that impact how your adventure plays out. You could play the game so many different ways and get a completely unique adventure each time, and it all begins with your choice of Origin Story.